Used as car magazine! Did some small tweaks to design. I loved it and i will reopen the site again with this design. 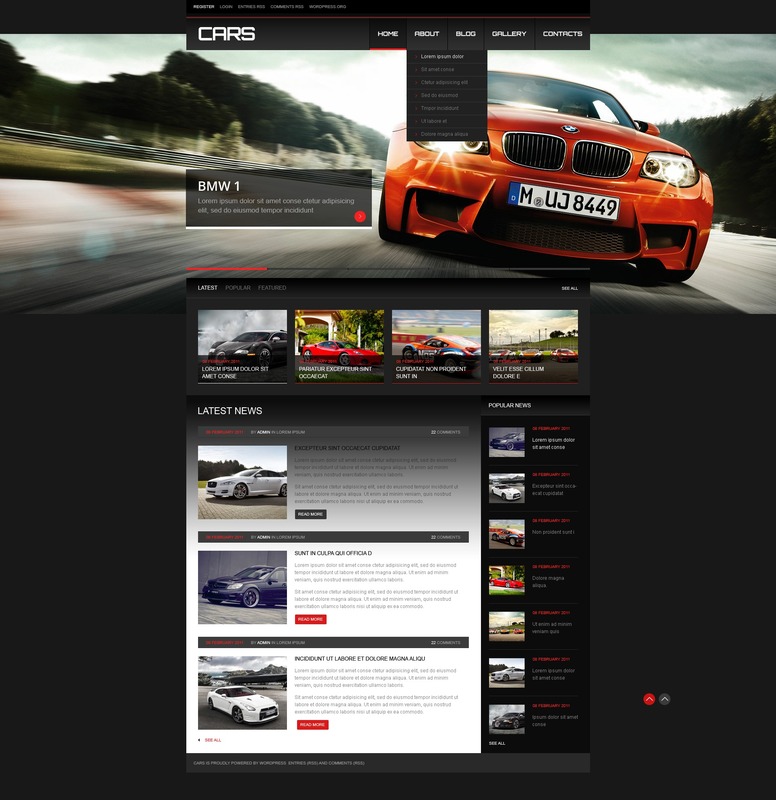 I picked this this Wordpress template for a car restoration company in Central Florida. I am a pro web site developer and my client wanted something red, flashy, professional style and modern look/feel; this WP theme was perfect. I always choose Wordpress themes because I am an expert at it and find working with them very easy. For quite a longtime I have been working with many Wordpress themes from TemplateMonster because they are easier to work with. One of the deciding factors in picking this theme was the homepage slider and its high-impact large rotating image which stretched the whole width of the browser. I also liked the cool hover animation on the main navigation bar buttons at the top of the page. Of course having the theme be fully responsive is a requirement now which this was was. I did need to make some several modifications to the theme to make is usable for the client and to fit within their style guide. Some of the things I changed was adding their company logo to the top. I left the colors mostly unchanged. I did not need to contact TemplateMonster support and had only minimal trouble with my modifications. My only issue is there there was not much room to add buttons in the main navigation but was able to work around it by adding buttons to the top bar. The fading colors in the main content area sometimes made reading the text difficult but was again able to work around it. Overall this is a good theme and with the website completed everyone associated is very pleased with everything so far. I used this template for a auto parts company, named BCR. You can visit the site at this URL: http://www.bcrpecas.com.br . I&rsquo;m a brazilian webdesigner, running a small business at my country. Template Monster has been a amazing supplier, providing me many Wordpress templates, i can delivery the job before the deadline and my clients are very satisfied so far. Cherryframework allow us to have many great effects and features, i recommend you to keep update due the old version security bug. The SEO and responsive settings ia good, and this template is easy to customize. I have no complains to this template. My client loved the design. The template was beautiful to begin with and substituting images from their industry was simple and combined to provide an excellent end product! Up and running with new images in a few hours. Great template. I love the design of the theme!! It is perfect for our new racing bike modifications site!